EDY GREENBLATT, Ph.D., PCC is a transformational coach-educator, resilience pioneer, integration visionary, and entrepreneur. As Founder and President of Execu-Care Coaching & Consulting, Inc. she creates radically innovative interdisciplinary, multi-method interventions that help leaders, teams, and organizations learn, grow, laugh, and energize while they rise to meet demanding performance goals. Her blended solutions can include interactive classroom sessions, aerial arts and flying trapeze, embodied and peer coaching, world dance, WATSU, coach supervision, ethnographic analyses, interactive online support, and offsite resilience retreats. Recently named one of the Marshall Goldsmith #100 Coaches, Dr. Edy is ICF-certified executive coach and professionally trained coach supervisor often collaborating worldwide with CoachSource and providers of Stakeholder Centered Coaching . Concurrently, she is faculty at two of the world’s top executive education institutions – Center for Creative Leadership and the DeSautels Centre for Integrative Thinking at the Rotman School of Management, University of Toronto. Dr. Edy previously worked as a Management Consultant and Organization Practice Specialist with McKinsey & Company, and as Assistant Professor at the Center for Effective Organizations at the University of Southern California. She has also had successful careers as a dance ethnologist, television and radio talk show host, performing artist and a circus peanut vendor. 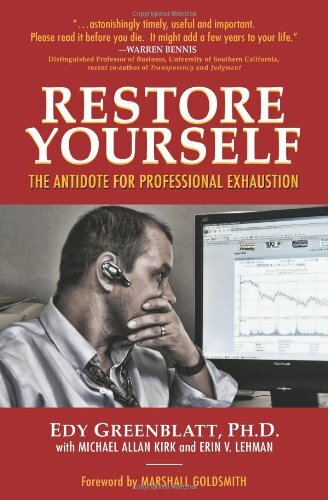 Edy is the author of numerous books and articles including her award-winning seminal work on resilience: Restore Yourself: The Antidote for Professional Exhaustion. Dr. Greenblatt earned her Ph.D. in the Joint Program in Organizational Behavior at Harvard University and Harvard Business School. She has worked with numerous Fortune 500 companies, entrepreneurial ventures, and individuals on leadership, team effectiveness, communications, women’s leadership, performance improvement and executive coaching engagements worldwide. 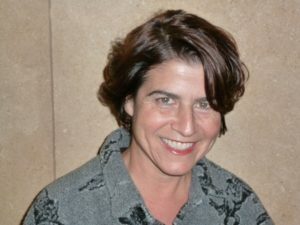 Dr. Edy is an entertaining and sought-after speaker, change agent, coach and coach supervisor, dividing her time between Santa Monica (USA), Ra’anana (Israel), and Toronto (Canada). In her free time she mentors children, dances, swims, studies WATSU and aerial silks, and, more often than one might suspect, sleeps. She is currently launching the Strategic Vacation project which aligns the needs of leaders, work teams, families, corporate finances, and the global travel and tourism industry to improve everyone’s well-being and bottom line. She is committed to helping heal the world through integrating and energizing mind and body. Be in touch, please follow me on Twitter, LinkedIn, Facebook and take care of yourself and each other.